The Emancipation Proclamation was a document signed into law by President Abraham Lincoln on January 1, 1863, freeing the slaves then held in the states in rebellion to the United States. The signing of the Emancipation Proclamation did not free a great many slaves in a practical sense, as it couldn't be enforced in areas beyond the control of Union troops. However, it signaled an important clarification of the federal government's policy toward slaves, which had been evolving since the outbreak of the Civil War. 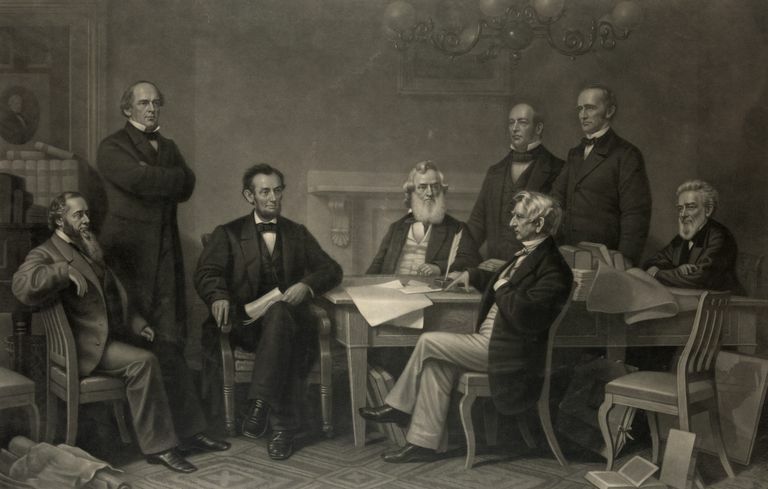 And, of course, by issuing the Emancipation Proclamation, Lincoln clarified a position which had become contentious during the first year of the war. When he had run for president in 1860, the position of the Republican Party was that it was against the spread of slavery to new states and territories. And when the slave states of the South refused to accept the results of the election and triggered the secession crisis and the war, Lincoln's position on slavery seemed confused to many Americans. Would the war free the slaves? Horace Greeley, the prominent editor of the New York Tribune, publicly challenged Lincoln on that issue in August 1862, when the war had been going on for more than a year. When the war began in the spring of 1861, the declared purpose of President Abraham Lincoln was to hold together the Union, which had been split by the secession crisis. The stated purpose of the war, at that juncture, was not to end slavery. However, events in the summer of 1861 made a policy about slavery necessary. As Union forces moved into territory in the South, slaves would escape and make their way to the Union lines. The Union general Benjamin Butler improvised a policy, terming the fugitive slaves “contrabands” and often putting them to work within the Union camps as laborers and camp hands. In late 1861 and early 1862 the U.S. Congress passed laws dictating what the status of the fugitive slaves should be, and in June 1862 the Congress abolished slavery in the western territories (which was remarkable considering the controversy in “Bleeding Kansas” less than a decade earlier). Slavery was also abolished in the District of Columbia. Abraham Lincoln had always been opposed to slavery, and his political rise had been based on his opposition to the spread of slavery. He had expressed that position in the Lincoln-Douglas Debates of 1858 and at his speech at Cooper Union in New York City in early 1860. In the summer of 1862, in the White House, Lincoln was contemplating a declaration that would free the slaves. And it seemed that the nation demanded some sort of clarity on the issue. Lincoln felt that if the Union army secured a victory on the battlefield, he could issue such a proclamation. And the epic Battle of Antietam gave him the opportunity. On September 22, 1862, five days after Antietam, Lincoln announced a preliminary Emancipation Proclamation. The final Emancipation Proclamation was signed and issued on January 1, 1863. As was often the case, Lincoln had been faced with very complicated political considerations. There were border states where slavery was legal, but which were supporting the Union. And Lincoln did not want to drive them into the arms of the Confederacy. So the border states (Delaware, Maryland, Kentucky, and Missouri, and the western part of Virginia, which was soon to become the state of West Virginia) were exempted. And as a practical matter, the slaves in the Confederacy were not free until the Union Army took possession of a region. What would typically happen during the later years of the war was that at the Union troops advanced, slaves would essentially free themselves and make their way toward the Union lines. The Emancipation Proclamation was issued as part of the president’s role as commander-in-chief during wartime, and was not a law in the sense of being passed by the U.S. Congress. The spirit of the Emancipation Proclamation was fully enacted into law by the ratification of the 13th Amendment to the U.S Constitution in December 1865. What Is Juneteenth and Why Is It Celebrated?